Zoe Brouns is a third Year Political Science student at University California, Berkeley (UCB). She actively participates in student governments and Model United Nation conferences. As a daughter to diplomats, Zoe grew up moving around the world. She is a keen traveller and she hopes to work around the world during the course of her future career. At UCB, Zoe is a member of the Alpha Chi Omega sorority. Sororities and fraternities – also referred to as Greek Letter Organisations (GLO) – are student organizations comprised of men, women, or both, who share similar values (either moral, cultural, or other identity-based values). Because of the traditional nature of GLOs, especially in older chapters, these organizations can often be inherently exclusive on the basis of race, gender, socioeconomic status, among others. To overcome this stereotype in her campus, Zoe has used her position as a Senator in the Associated Students of University of California (ASUC) – the largest autonomous student government in the country– to actively champion diversity and inclusion of students of different races, socio-economic backgrounds and sexuality into the GLOs at UCB. She has gained widespread attention, particularly, for her activism on LGBT issues. Having experienced the challenges of being a LGBT member within the GLOs first-hand, here, she provides excellent insights into the plight of the community and the efforts she has undertaken to inculcate inclusiveness among the student groups. What were the challenges you faced before coming out to your peers? Firstly, I don't want to give you the wrong impression about my sorority. While the system as a whole has many issues, the women in my chapter have been incredibly supportive and accepting. Well, I discovered my sexuality during high school and I started university wanting to be open about it. It was not possible to do this immediately as I was already in my sorority before I had the chance to come out to my new friends. Initially, it was daunting because I feared my friends would be homophobic and that there would be backlash as a result. Fortunately, that didn’t happen and my friends were very accepting of my sexuality. They have been amazing support to me since the beginning. What are the problems faced by other LGBT members within and outside the GLOs? There is a strong sense of heteronormativity among the GLOs at UCB. This condition naturally leads to homophobia. Though the problem is not severe as in other American universities, particularly those in the South, it is still sizeable and reflects a systemic problem. LGBT members within the GLOs are subject to verbal abuse from their peers and homophobic slurs are often hurled against them. Sexual assault is also commonly experienced by LGBT members within the GLOs. Transgender and lesbian women are particularly susceptible to this problem and it is worth noting that they are the group likeliest to experience sexual assault throughout the whole country. As the GLOs are a microcosm of the general UCB student society, problems that are faced within the GLOs can be translated to the larger society. I have participated in LGBT societies outside of the GLOs to engage the larger population. The general UCB LGBT population faces similar problems of verbal abuse and sexual assault. They are also often not taken seriously owing to their sexuality. Fortunately, however, UCB has a population that is relatively more progressive than in other parts of the country. What are the efforts that you have engaged in to improve the lives of LGBT members in UCB? What other forms of activism do you participate in and how would you view the outcomes of your effort? Most of my efforts up till now have been aimed the GLOs as the problem of heteronormativity is most prevalent here. Well, I started out by reaching out to other LGBT members within the GLOs. It was important for others to know that they are not alone because it is easy for one to feel alienated within the GLOs because of one’s sexuality. That said, the general problems I have mentioned earlier still persists. Gay males, in particular, are forced to live up to typical male stereotypes and a failure to do so often results in verbal abuse. That is why it is very important that LGBT members within the GLOs are able to find one another for support. To address this issue, we have also planned an LGBT event for the GLOs. The purpose of this event is two-pronged really. Firstly, we want to ensure that all LGBT members feel welcomed within the GLOs. We are also aiming to educate the rest of the community about the LGBT population and their plight through this event. I’d like to emphasise that the efforts I have engaged in are also aimed at improving diversity among the GLOs. The Panhellenic Executive Board created a new position that is intended to help promote diversity and inclusion within sororities. The new position holder would be responsible in ensuring that minorities feel welcome within the GLOs and that their needs are attended to. This effort will be a huge step forward for all concerned, including LGBT members. Other than that, I have also worked on anti- sexual assault and alcohol related risk management campaigns in UCB. While it is heartening to see that some of the campaigns I have partaken in are starting to bear fruits, I don’t think I’d ever get to see the end results of it. I often get the feeling that the progress I’m making represent very small steps because these problems are still prevalent in other parts of the country. But every now and then, I see signs of hope that makes me believe that a more widespread change is possible. How do you view the role of social media in spreading your message, especially since you mention that it is difficult to inspire a widespread change through physical activism? I have come to learn that social media is quite a powerful tool to spread a message. In conjunction with National Coming out Day (October 11), I posted statuses on Facebook for the past two years to embrace my sexuality in the public domain. It was an unusual decision because I hardly post anything related to my sexuality on Facebook. Yet, I decided to do it because I wanted to be visible. As a result, I received three or four personal messages from individuals thanking me for helping them to come to terms with their sexuality. It was a pretty amazing feeling and I guess it reinforced the idea that openness helps. Being open helps to foster constructive conversation on LGBT issues. It is also useful as it gives those people in need someone to turn to and gives them courage to stand up. How do you plan to continue your involvement with LGBT issues, both in the short-term and long term? Well, for the immediate future I hope to make the LGBT event for the GLOs a success and turn it into an annual affair. There is also a climate survey that is being conducted by the Panhellenic Executive Board to gauge the presence of LGBT community within the GLOs. Interestingly, it is the first time that such a survey has been conducted. It will be intriguing to see the results of the survey and it will be important to act on the results of the survey accordingly. As for the long-term, I aim to incorporate my sexuality into my identity. I don’t mean that in an intrusive manner. What I mean is that no matter what work I’ll be doing in the future, I’d be unafraid of my sexuality and it’ll be a proud make-up of my identity. 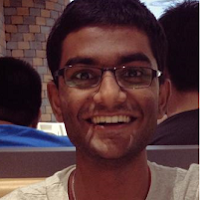 Niruthavignesh Sundararajah, aka as Niru, is currently a civil and environmental engineering student at Imperial College London. Besides engineering, Niru has a strong passion for activism. His interests lie primarily in environmental and human rights issues. Having been inspired by stories throughout his life, Niru aims to create the same effect among readers by sharing stories of remarkable human endeavour through the Red Elephant Foundation.